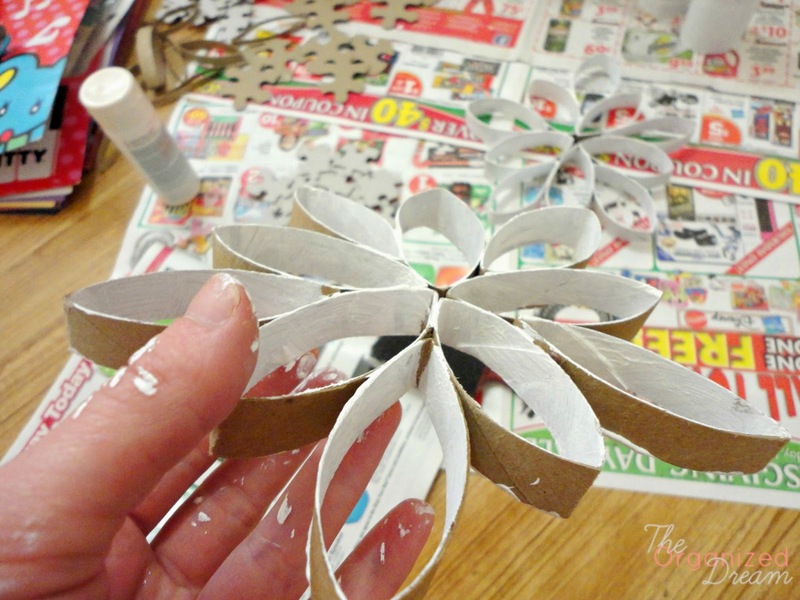 To keep with the crafty side of things here on the blog this holiday season, I've have a creative and fun wreath tutorial to share with you made from toilet paper tubes. 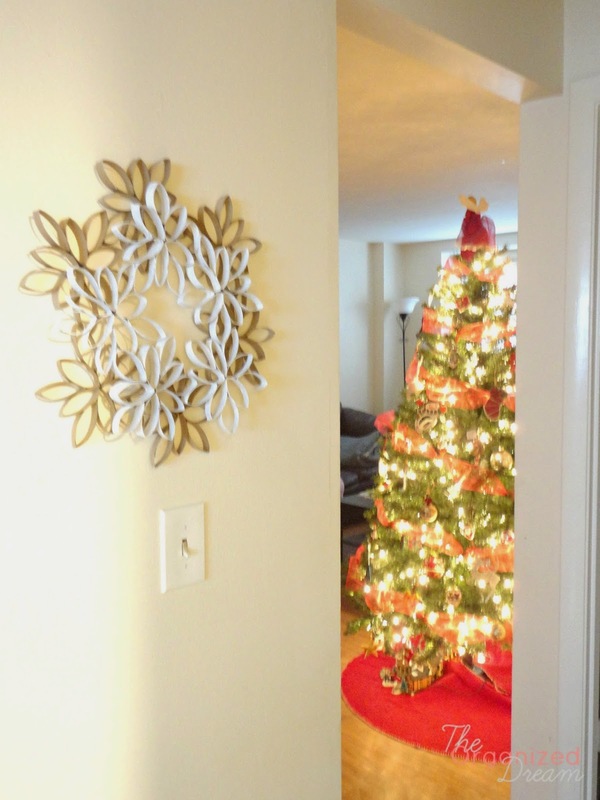 With a little paint and some creative designing, this is just the thing I needed to add some holiday cheer to my hallway. I have been saving toilet paper and paper towel tubes for a couple of months and even had my mother pitch in some since I knew I'd need a lot. 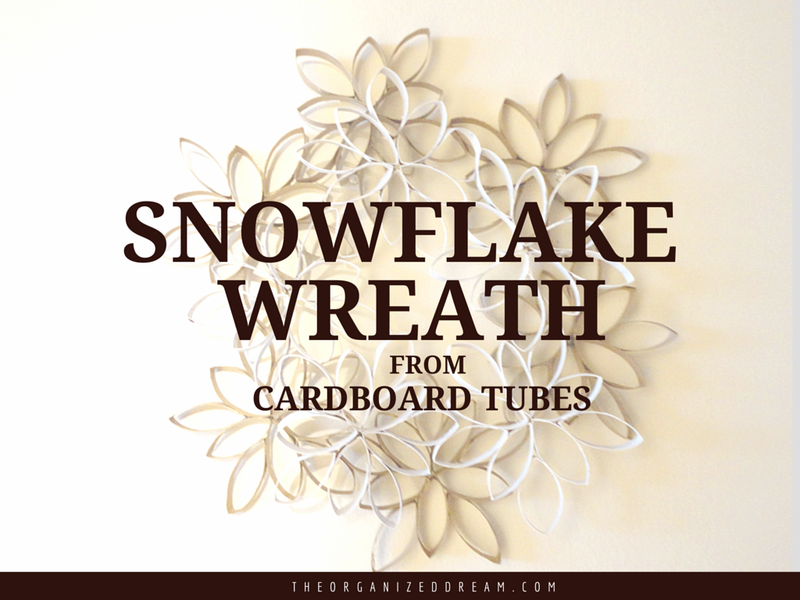 After cutting a whole shopping bag full of rolls and using them in other craft projects, I cannot begin to tell you how many I needed for this project, but each snowflake uses 10 pieces and there are 11 snowflakes on this wreath. So, let's get to it! First, gather your rolls and cut in uniform sizes. I made my pieces roughly 1'' thick. 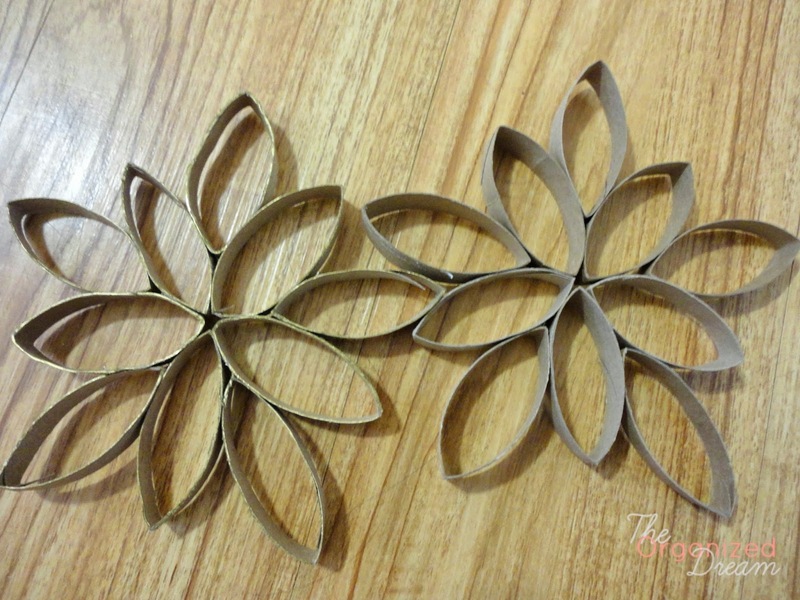 Once they are all cut, start creating your design. I opted for the snowflake look, but there are others you can choose. On the other 6, I used a gold paint pen to add just a little color to the sides of the snowflakes. Here you can see the difference. It's subtle, but I think it looks better than leaving them plain. Allow paint to dry. I used a stapler to attach each snowflake to one another. You can use glue, but I found this to be a quicker method. I connected the plain snowflakes together into one wreath and the white ones into another wreath form. I then stacked them on top of each other and used thin string to hold them together also to save a little time. You can glue these babies together if you wish. You can purchase the supplies I used below. This is the final look and I love the way it dresses up my plain hallway wall. It is just the right size for the space and has that rustic Christmas look that I love! 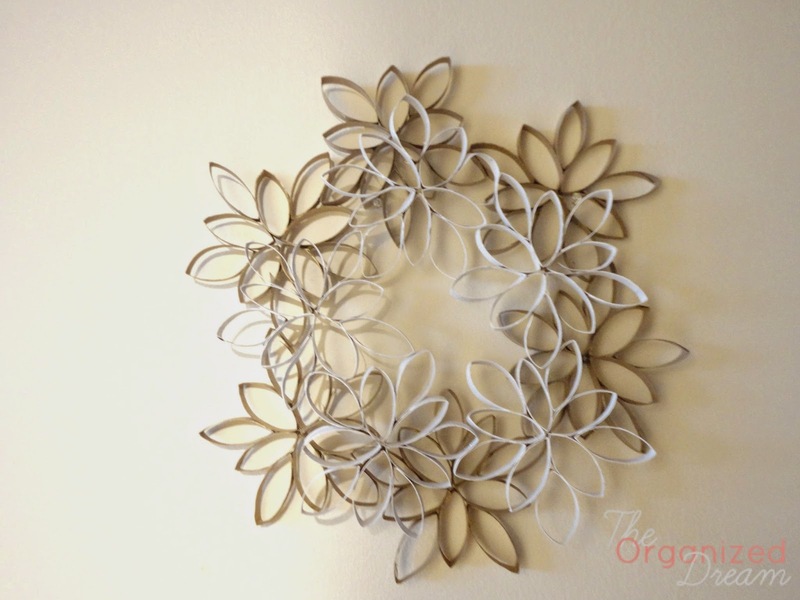 Have you crafted with toilet paper tubes before? What did you create? this is genius! well done for all the effort you made! Ntina said it. This IS genius. I am doing this, I've even got everything to do it! 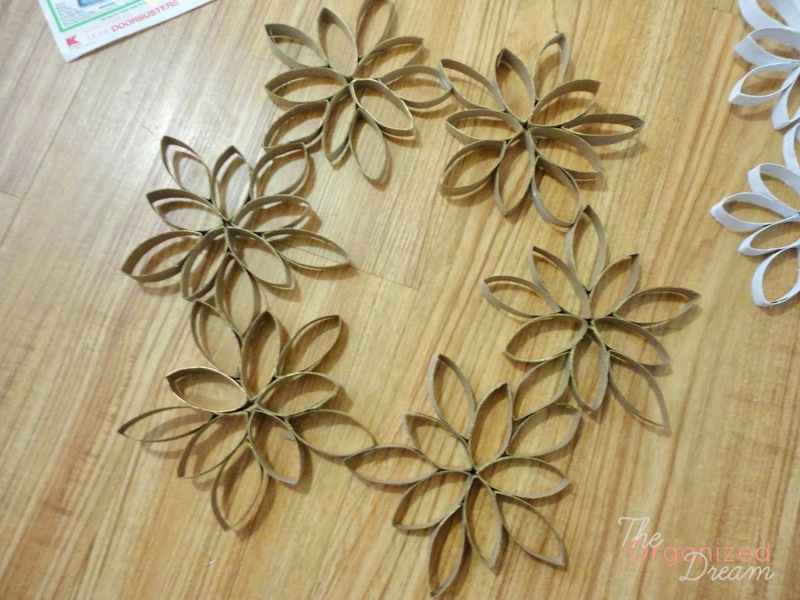 YAY for crafts that I don't have to buy anything for! 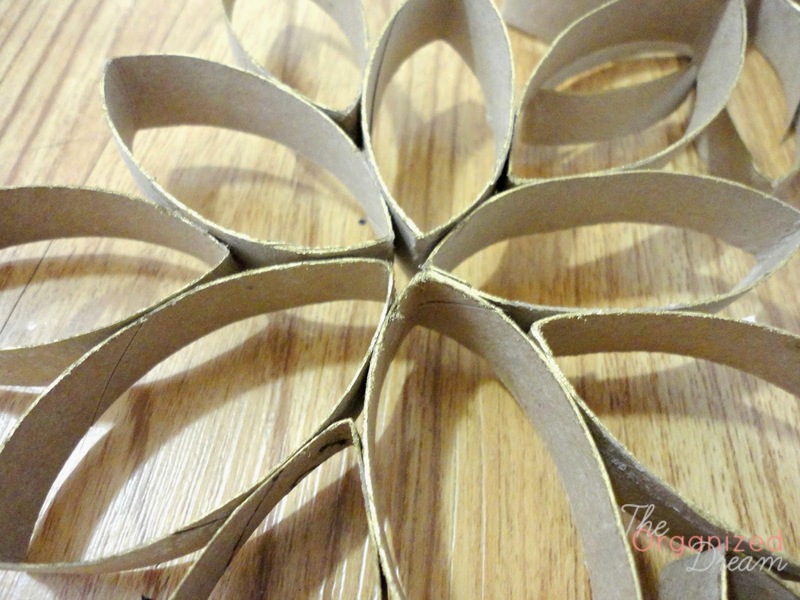 Who knew toilet paper rolls could make something so pretty! I love this idea. 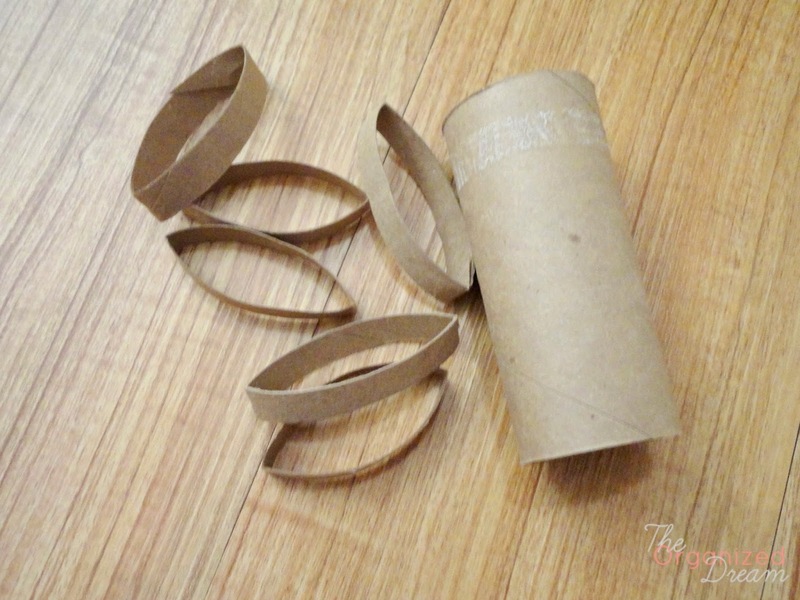 I'm going to start saving my paper towel and toilet paper rolls, so I will have enough for projects next year. Please stop by and share your posts on my Sunday's Best linkup. They're great.